/ Modified mar 22, 2018 1:28 p.m.
A view of downtown Tucson from the west, January 2018. Southern Arizona's population grew by more than 10,000 in 2017, according to the latest estimates from the Census Bureau. 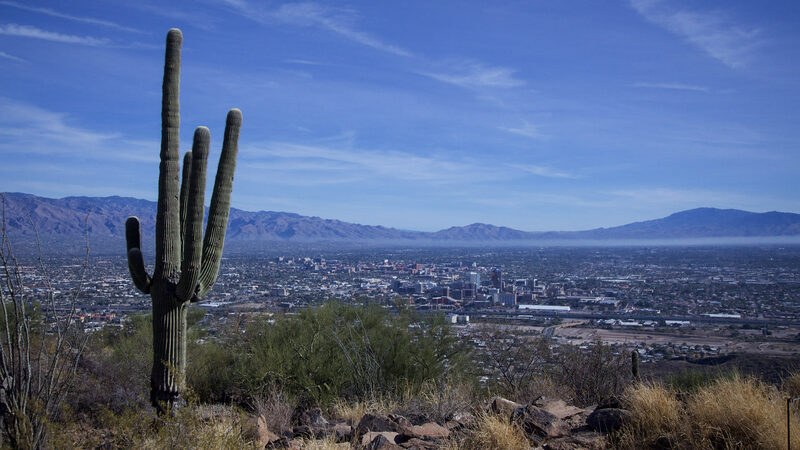 The bulk of the population growth was centered in the Tucson metropolitan area, which saw the number of residents increase by 1 percent from the previous year. The majority of growth in Tucson's population came from a doubling of domestic migration. More than 6,000 people relocated to Tucson from within the U.S. Births, deaths and international migration were relatively unchanged from the previous year. The majority of counties in the state grew. All three counties that lost population were in the state's southeastern corner: Cochise (-599 residents), Graham (-301) and Greenlee (-168) counties. Santa Cruz County added 137 residents. The Phoenix metro area grew by 89,000, making it one of the fastest-growing metro areas in the country. MORE: Arizona, Cochise County, Pima County, News, People and Places, Santa Cruz County, Tucson, U.S.